Welcome to ElectionMap. The race for the 2016 presidential nomination has produced numerous candidates for both the Democratic and Republican parties, as well as hundreds of Independent and third-party candidates. ParentMap would like to help our readers make informed decisions going into the election season. Read more in the series. Are your kids wondering why their favorite toy commercials have been replaced by talking heads? Do they ask you if they live in a red or a blue state? Or maybe they are already running for class president? 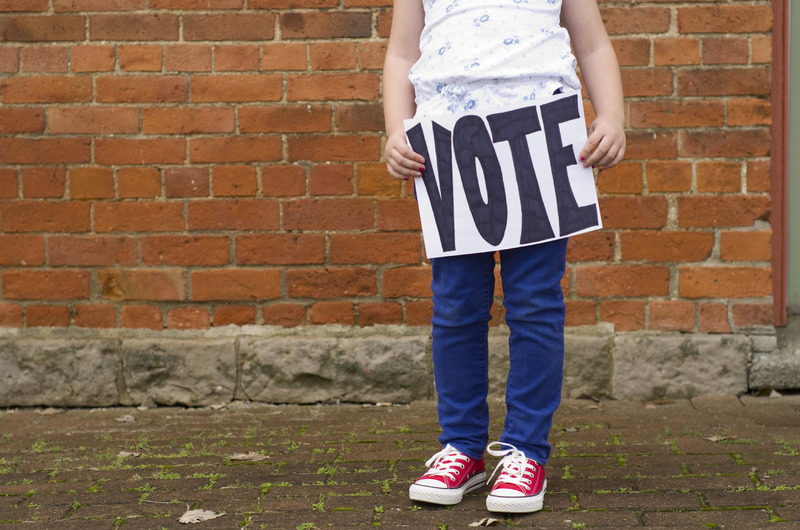 No matter where your child is on the political spectrum — from left to right, confused to savvy, from young to even younger, here are some of the best books to get them even more interested in the 2016 campaigns. Some children will enjoy teaching you what they've learned. Or have a simple conversation by asking what your child would do if she or he were president. 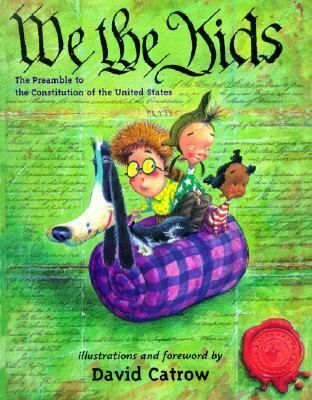 Our editors' hand-picked books about civics and U.S. government for kids. Make a game out of it: Count political signs or bumper stickers on the way to school. You could even keep score for who sees the most (or who sees the most of a certain candidate or party). Not only will that keep the busy in the car, but it shows kids how others in the community care about issues and elections. For the family who wants to go deeper, you could let everyone be President of the Family for the day. (Of course mom and dad, as Supreme Court justices, would be entitled to rule that ice cream for all three meals is unconstitutional!) This a great way to learn about checks and balances. Try writing your own family constitution, a great exercise to teach younger kids about the important values on which you base your own decisions. And they will get a good idea of what it takes to run a country (and a family). Who knows, maybe you'll earn a little respect. Did you know Barack Obama wrote a book — for children? Addressed to his daughters, Malia and Sasha, Of Thee I Sing celebrates 13 Americans who shaped our nation. Among the notables: artist Georgia O'Keeffe, baseball player Jackie Robinson and, of course, fellow president George Washington. Based on a true story, Diana's White House Garden follows Diana Hopkins, the daughter of President Franklin D. Roosevelt's chief advisor. Diana moves into the White House during World War II and starts planting seeds of change with the spread of Victory Gardens. This is a fun picture book that introduces kids to a presidential candidate (who might be the first woman president!). I also love how it includes her dream to be an astronaut because it shows kids that even though she didn't become one, she used her dreams to inspire her and keep reaching for the top, even if the top was different that what she imagined. Since my son's plans are to become a knight, I like the idea that he can use that as a metaphorical dream. Who doesn't love Duck, that hero from Click, Clack, Moo, another favorite? He returns here, and he's running for President. Perfect for children ages 8 to 12, this brief biography (just over 100 pages) of Michelle Obama takes us from her childhood in Chicago to her education at Princeton and Harvard. Along the way, enjoy illustrations from New Yorker artist John O'Brien and Who Is? Who Was? series author Nancy Harrison. Meet Elizabeth Cady Stanton. Involved in both abolitionism and the women's rights movement, Stanton was a vocal advocate for change in the United States. This book, ideal for grades 1 through 4, takes young readers from famous Seneca Falls, New York, to the front of picket lines throughout the country and asks them what big ideas do they have for their nation. This book is written from the perspective of children, which makes it accessible. Each one ponders what would happen if they were in the oval office. The book teaches about the presidency ("the people would be my boss", the president has a veto, etc.) in a really accessible way. Kids will enjoy this rhyming story of Woodrow the mouse as he runs for President of the United Mice of America. He goes from volunteer to local offices to his race to be the "Big Cheese". Interactive illustrations add even more fun. A nice addition to the awesome Bad Kitty series, this book will not only make you laugh, it will make beginning readers learn a little about elections along the way. Lots of pictures make this slightly text-heavy book great for the younger fact-seeking child. It isn't boring, though: instead of listing the requirements to be president, they explain why Arnold Schwarzenegger could be an actor, even a governor, but not a president. Boxes with "good news, bad news" sum up issues in easy-to-understand ways. For example, the good news is the US was the first modern democracies, but the bad new is that only white male landowners were allowed to vote. This thorough book includes information about history, politics, campaigning, conventions, election tricks, and even hanging chads. "Where are the girls?" When Grace's teacher reveals that the United States has never had a female president, Grace decides to be the first. And she immediately starts off her political career as a candidate the school's mock election! This is a good book for all genders and especially inspiring for girls with a subtle message about equity. This colorful, unique and spiral-bound resource has visually appealing diagrams and explanations of U.S. history and elections. I like it's simple and well-organized style. Great for kids of all ages, and even high school students will learn from this one. Written in the second person, the book assumes that you, the reader, want to be president. In a conversational way, it sneaks in a lot of information. It points out that as president, you won't have to eat broccoli (like George W Bush) but that you might get a cabbage thrown at you (like President Taft). It suggests you might fare better if you were born in a log cabin or named "James". It reads like a picture book, but with more text and interesting information. A fun and interesting read that will captivate girls and encourage them to think about their own leadership, whether in politics or elsewhere. And have the boys read it too--it's just as important for them to have female role models. A great story with a great voice, this will appeal to kids who like fiction more than nonfiction and they will learn just as much about the process. Wendy Lawrence is a longtime educator and former middle school head at Eastside Prep in Kirkland. Lawrence blogs about parenting and books at thefamilythatreadstogether.com.